SugarHouse Casino is Philly’s oldest casino and continues to be a premier gaming and nightlife location in the city. A $164 million expansion brought new amenities, featuring six restaurants, including Hugo’s Frog Bar & Chop House, an event space, a seven-story parking garage and more. 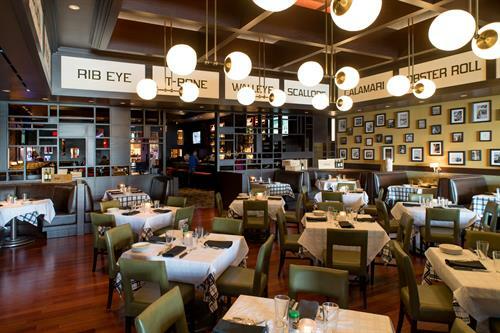 An elite dining experience is available at Hugo’s, as the legendary steakhouse icon Gibsons Restaurant Group has opened its first and only Philadelphia restaurant inside SugarHouse Casino. As a member of the only restaurant group in the nation to have its own USDA certification, Hugo’s serves USDA-certified above prime beef. 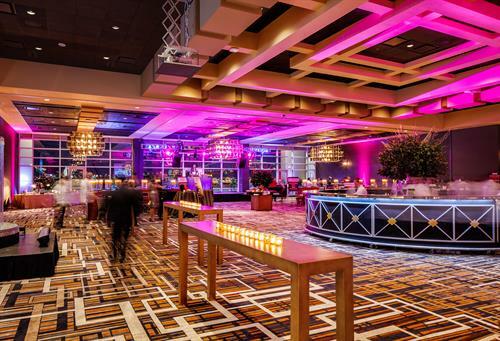 Gibsons Restaurant Group is also the exclusive caterer for the SugarHouse Casino Event Center, which boasts customizable menus that feature iconic cuts of USDA Gibsons Prime Angus Beef and a pristine selection of fine seafood. 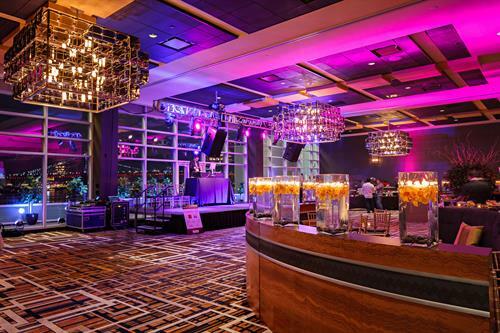 Located on the second floor of the casino, The Event Center is tailor-made for corporate events, wedding receptions, black-tie galas and home to major performances from the likes of Jon Dorenbos and Scotty McCreery It features floor-to-ceiling windows and beautiful panoramic views of the riverfront and the Ben Franklin Bridge. The Marketplace boasts four dining options at SugarHouse, allowing guests to enjoy the Philly flavors just steps from the gaming floor. The marketplace hosts Saxbys, Tacconelli’s Pizzeria, Geno’s Steaks and Revolution Grill. 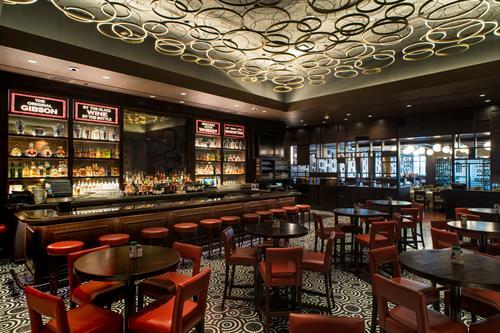 Each restaurant brings its own unique taste and style to the casino, offering guests sit-down or to-go dining options. Also Mian, which brings a fresh take on authentic Asian cuisine to the casino’s diverse food lineup. The quick-service restaurant features made-to-order meals including thick, rich broths; fresh vegetable, seafood, beef and chicken dishes; and daily chef’s specials. 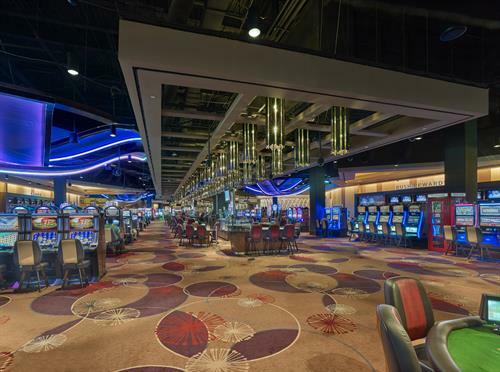 SugarHouse Casino features 1,891 slots, 103 table games, a 28-table poker room. 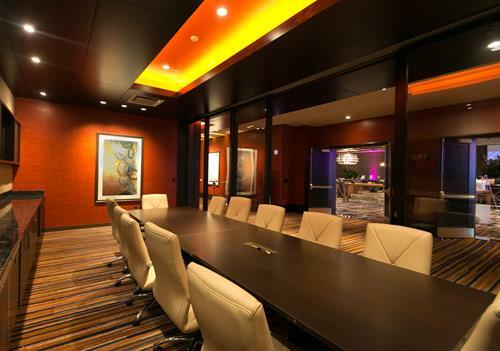 The state-of-the-art Poker Night in America Poker Room is the first of its kind and is named after the popular CBS Sports TV program. SugarHouse employs approximately 1,600 people and has been voted a “Best Place to Work” in the Philadelphia Business Journal and a “Top Workplace” in The Philadelphia Inquirer by its Team Members five years in a row. New Jersey residents can now enjoy casino gaming at the SugarHouse Online Casino, which is available to play at PlaySugarHouse.com. The site features state-of-the-art authentication and encryption technology to secure all personal information and includes a strict age-verification process. 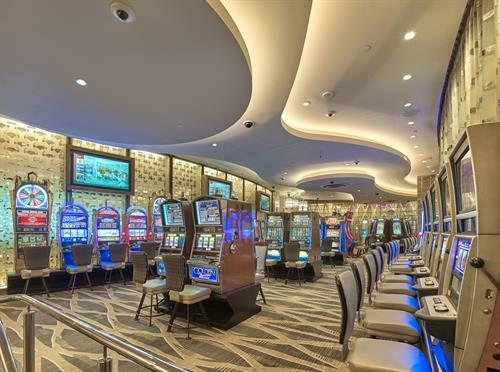 The platform and its games have been tested and certified by the New Jersey Division of Gaming Enforcement as being safe and fair to play. Players are welcome to register and fund accounts from any state in the U.S., and they must be 21 years of age or older and physically located in New Jersey in order to wager. The CASINO4FUN site gives SugarHouse players the chance to play popular online slots titles and table games for free and to buy virtual credits so that they can play even more. Players must me 21 years of age or older to play CASINO4FUN games.